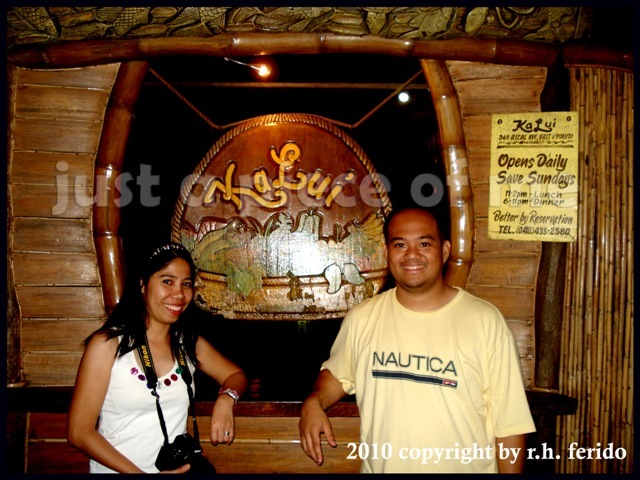 Last year, hubby and I were not able to go to the Underground River because we were not able to get a permit. Since we didn’t like it to happen for the second time, hubby and I decided not to waste any single second to get the permit as soon as we arrived to Puerto Princesa together with his family. The new office is now loacated along Rizal Avenue, beside Kinabuch Restaurant and sharing the same building with Badjao Inn. Riding a tricycle would only cost you P8/head. Since it was already four in the afternoon, there were no more slots available for the next day and no more morning slots for the day after next. We had no choice but to take the last tour, at 5:30pm. But the staff advised us to go there early, around 2pm, so that we could have the chance to have the tour earlier than the one we got. We waited for the next boat and then proceeded in the tour. 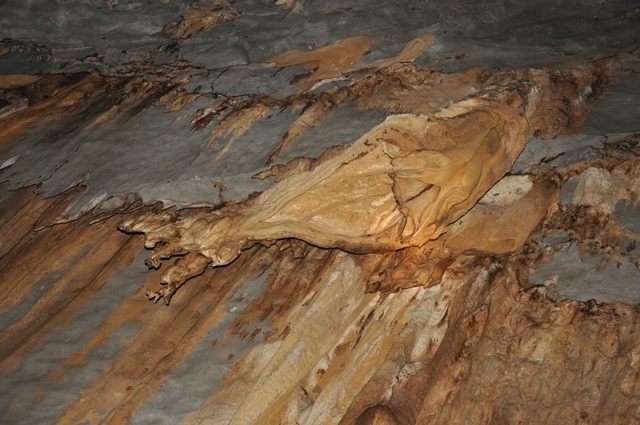 As usual, the tour guide started his spiel about the cave and everything that can be found inside. 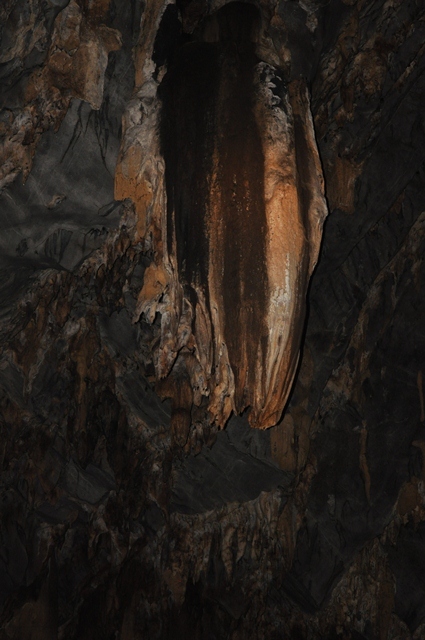 Let the pictures speak for the beauty of the cave. 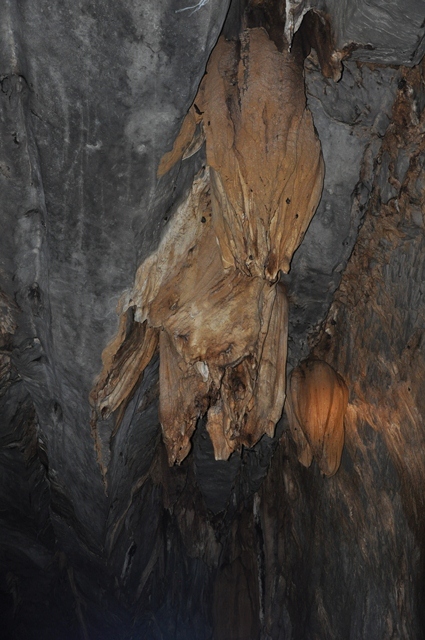 DISCLAIMER: All photos (except for the first two) used in this blog post was taken by my hubby. 😀 Thanks Hon! We were already on our way to the airport when I remembered that we haven’t booked yet any van rental for our tour in Palawan. Due to my super busy schedule for the past week, it didn’t even cross my mind. Well, thank God I have saved five contact numbers on my phone of those people who own van for rent. However, out of five people I had texted… only one of them has an available van to offer. And that was Kuya Gerald…. Since our flight was delayed, my inlaws decided not to push through the city tour and scheduled it the next day, together with the Hunda Bay tour. Kuya Gerald won’t be driving us to Hunda & Underground River for he has another tour with other guests but he assured me that he would definitely send a driver for the said tours. 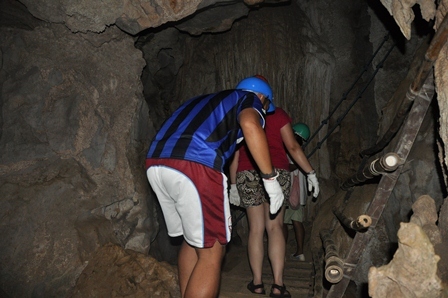 We’ll be having Hunda Bay Tour as well as City Tour on our second day and Underground River Tour on the third day. Going to Sabang means 2 hour “biyahilo” ride on a private van or 3 hour “siksikan” ride on a public bus/jeepney. 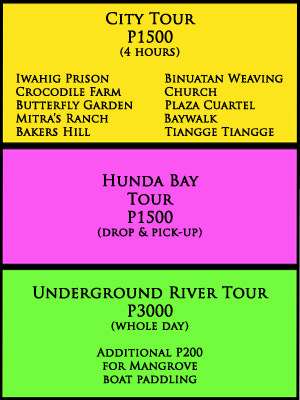 If you would be in a big group (like us – 6 pax), it would be much better taking the private van for P3500. Now, if you would be traveling with your partner, taking the bus or jeepney for P150 would do. 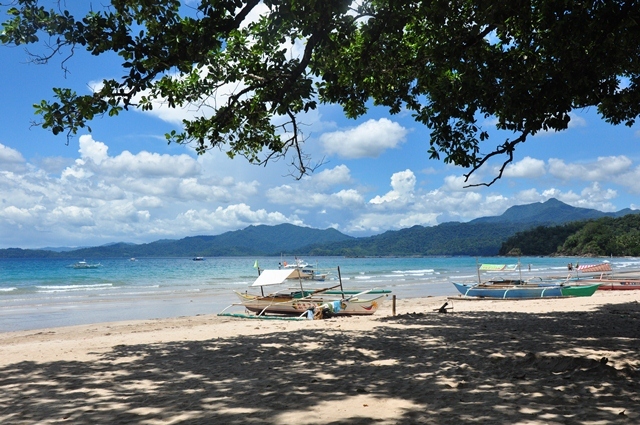 Sabang beach is indeed a beautiful beach where you can enjoy its clear water and very fine sand. 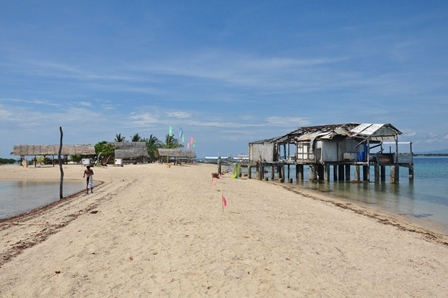 When we reached the place, only a few tourists were swimming on the beach maybe because it was scorching hot then. If you would plan to stay for a day or two in Sabang, there are quite a lot of accommodations (from the cheapest-most expensive) to choose from. 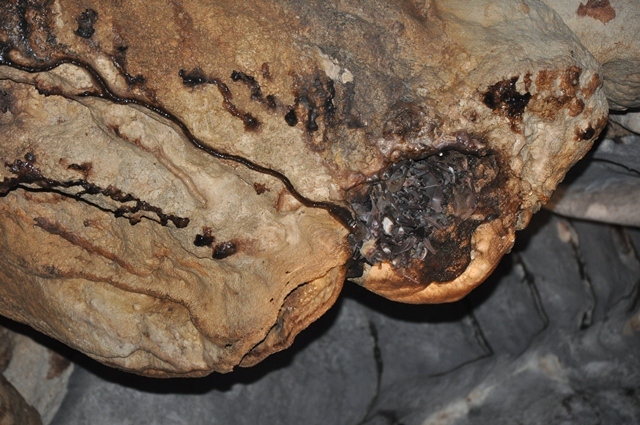 But keep in mind that most of the rooms are not airconditioned. This place has no electricity and just depends on the generator that is being used from 6pm – 1am. 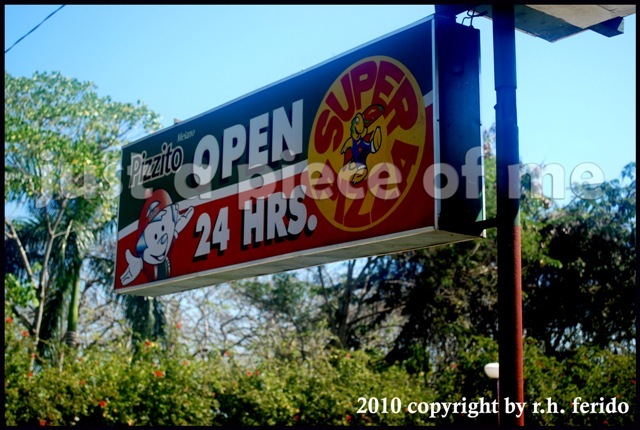 When it comes to food, you won’t get hungry for there are some restaurants and carinderias to choose from. 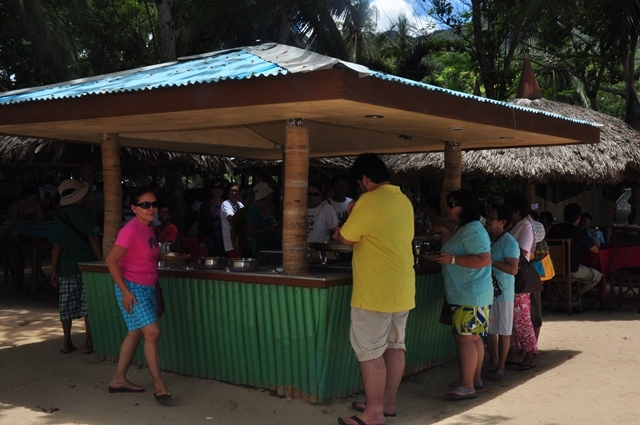 We had lunch at Robert’s Beach Resort in Sabang which offers lunch buffet (P200/head) to it’s guests and to other tourists as well. A small bottle of soda costs P20. Too pricey! 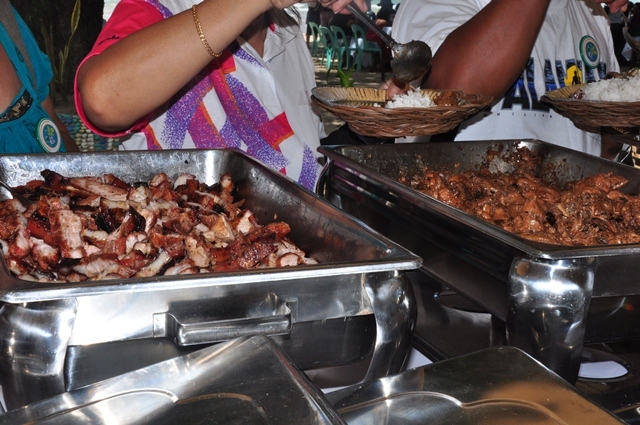 Even the P200/head lunch buffet! I didn’t even enjoy the food. 😦 It was too dry and too bland. 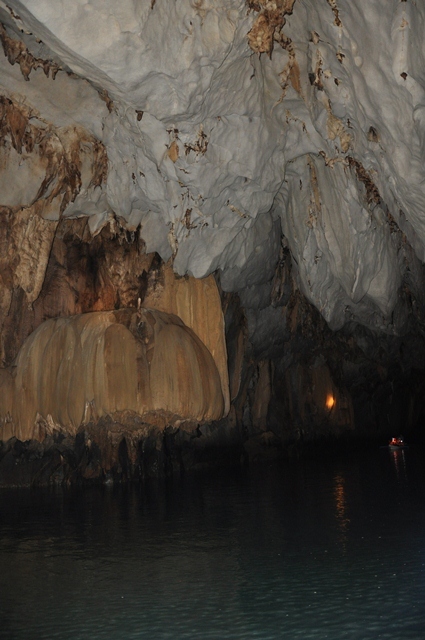 Since our Underground River Tour is at 4:30 in the afternoon, I prompted the driver to take us to Ugong Rock for the spelunking (caving) and zipline before heading to Sabang. 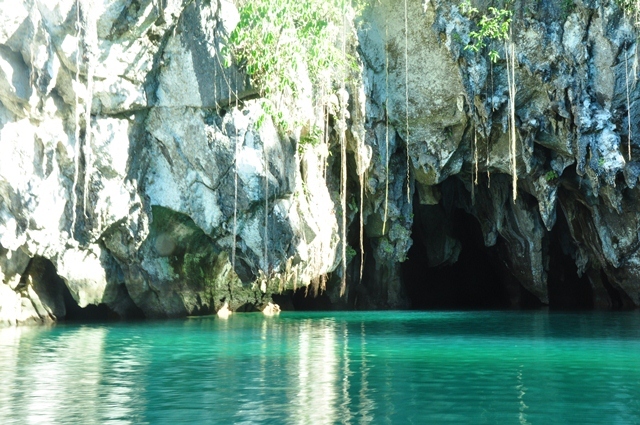 It is located in Baragangay Tagbinet, a few kilometers away from the Underground River of Palawan, which has wonderful limestone formations. 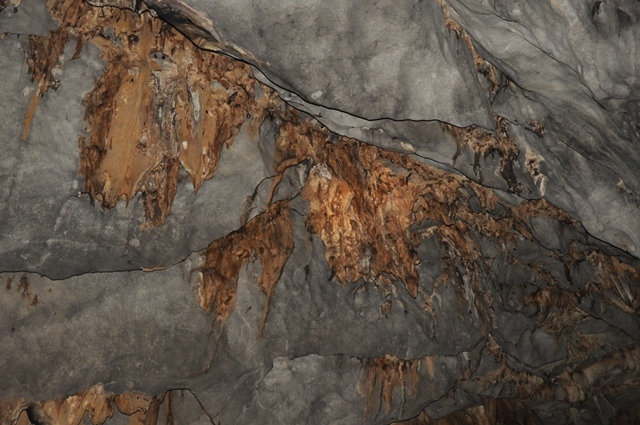 Spelunking, which is more popularly known as caving, has been started for a couple of years where tourists can tour inside the rock and climb up to the top of the limestone. 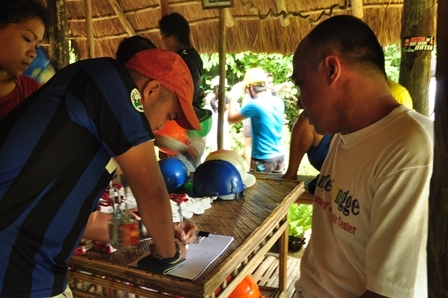 A pair of gloves and helmet is given to those who will bravely take the challenge. 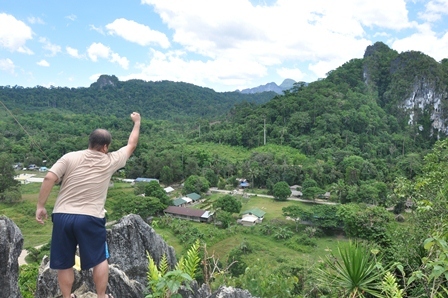 For P200 entrance, you can get inside the Ugong Rock and witness the breathtaking view on its top. 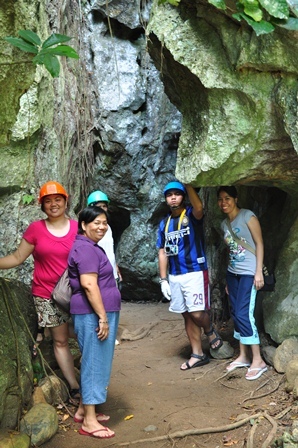 Since my MIL and I would not get inside the Ugong Rock, the guides were kind enough in letting us to follow them to the entrance and had some shots. 🙂 According to them, it was called “Ugong” because of the sound that it makes when you knock onto it. 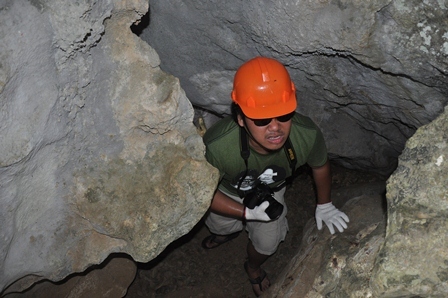 Aside from that, this cave used to be a hiding place for locals during the Japanese period. 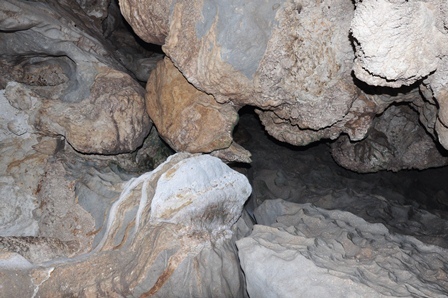 My husband and his siblings bravely took the narrow holes and steep inclines just to reach the top. 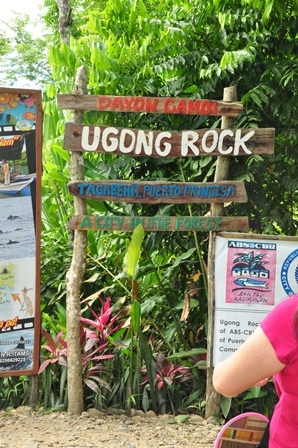 But recently, another attraction was added to Ugong Rock that would definitely give everybody an adrenaline rush. 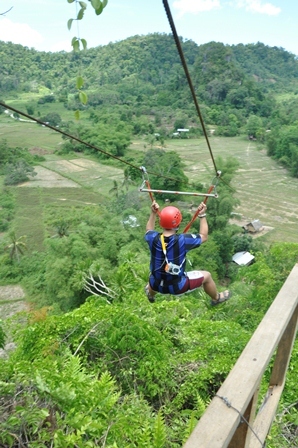 Last December 2010, the 380m Zipline was finally installed after a year preparation. 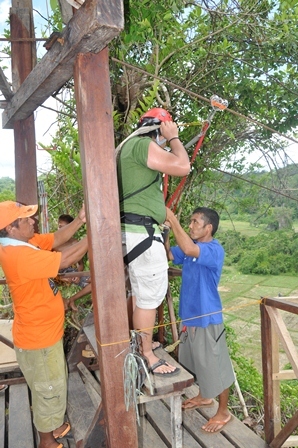 Cables are emplaced on top of Ugong Rock and connected to a pole which is several hundred meters down the west side across a farmland. 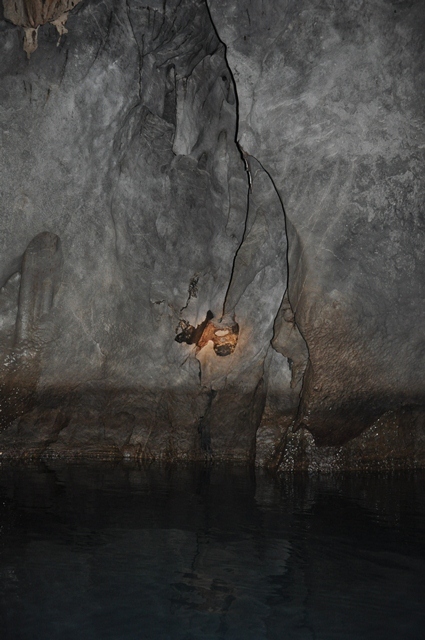 In able for you to go to the Zipline area, you have to get inside the rock and climb up to its top. 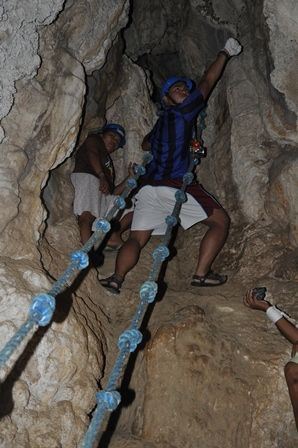 The fee is P450 which includes spelunking (P200) and zipline (P250). 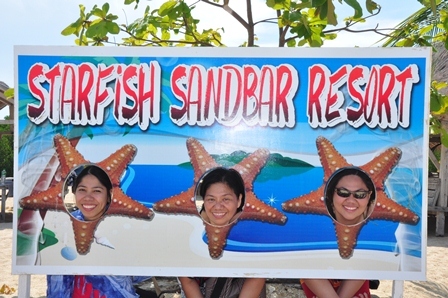 When we went back to this island, it is now being called as “Starfish Sandbar Resort”. 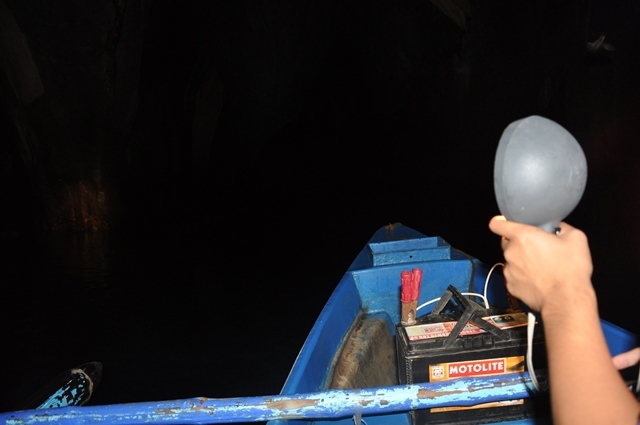 Not only that, I was a bit shocked when told by our boatman that we have to pay P70 per person for the entrance fee. ^o^ OMG! How come we were able to get in this island last year for nothing? Oh.. well, I don’t know neither. 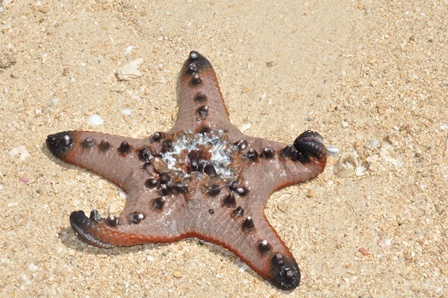 According to Kuya, Starfish Island was bought by Dos Palmas from the owner. But since Dos Palmas hasn’t settled yet the payment to the previous owner of the island, they no longer manage the island. Yes, it is now back to the previous owner and he made some improvements at the island. 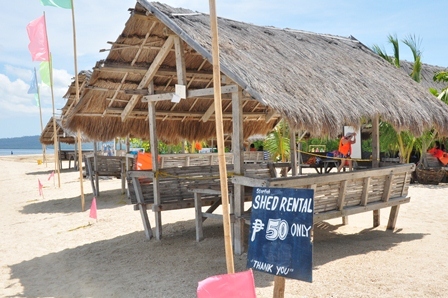 There are now many cottages for the tourists to rent for a very affordable price. Comfort rooms can be found here too. We were supposed to try our luck on getting a permit for Underground River Tour but since we were not able to wake up early we decided not to leave. According to the tricycle driver we met, the permit should be taken a day before the tour. TIP: If you want to have the tour in the morning, get a permit the day before your tour. Make sure you go to the DOT office early in the morning. 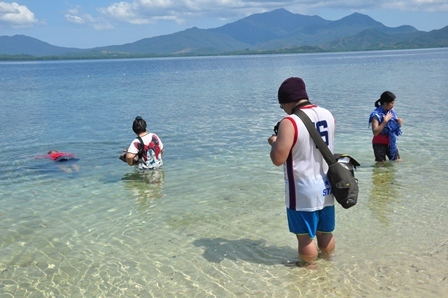 But if you like to have the tour as soon as you reach Puerto Princesa, go to Sabang right away. 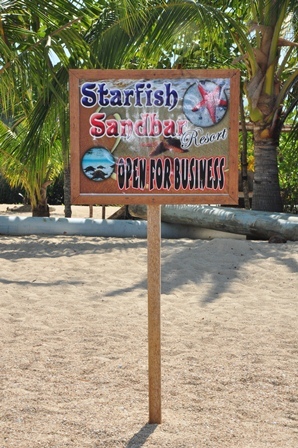 You can get the permit from the DOT office there but you have to tell them that you had an overnight stay in Sabang. If not, they would ask you to go back to the city for the permit. 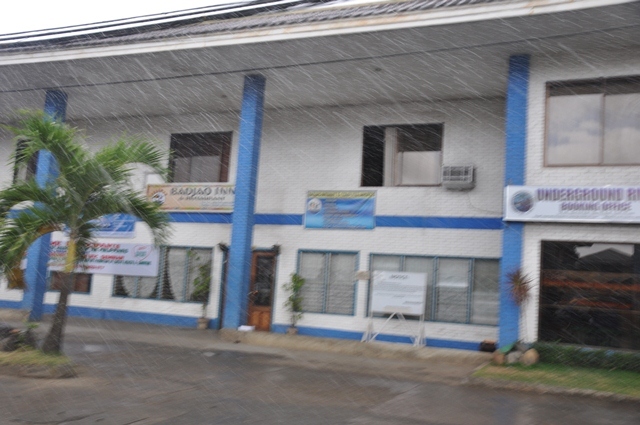 Update: The new office is now located at Rizal Avenue, close to Badjao Inn and Kinabuch’s. Take the blue multi-cab with the New San Jose Terminal signboard in Rizal Avenue. P7 per head. Alight in the terminal and take the bus or jeepney. 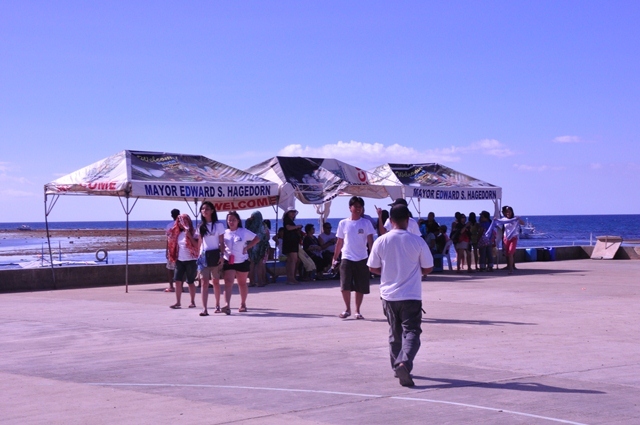 There are four jeepney trips to Sabang Wharf: 7am, 9am, 12nn and 2pm. Bus returns to Puerto at 1pm. The jeepney fare is P125 for Filipinos and P200 for foreigners. 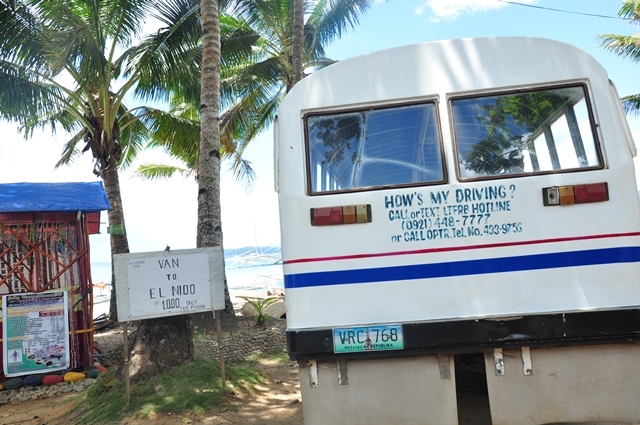 It is a 3 hour ride by bus or jeepney and 2 hour ride by private van. Pay P150 for the entrance where the paddle boat for the UR Tour is already included. 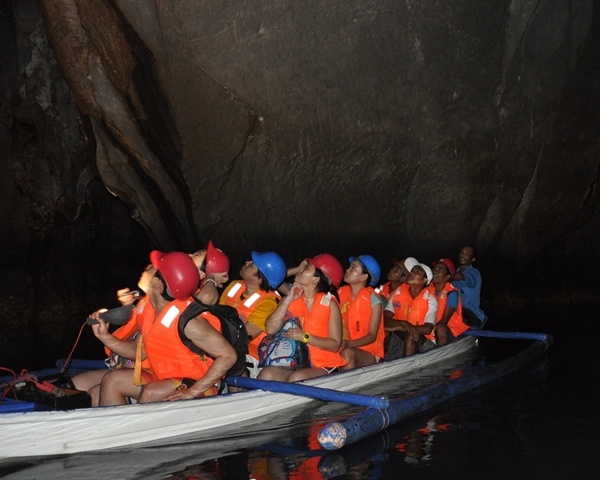 The boat rental to the UR Tour area is P700, maximum capacity of 6 persons. The tour would only last for 45 minutes. 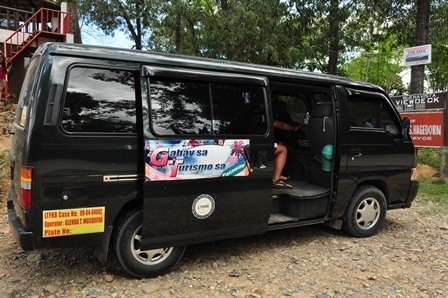 TIP: If you are in a big group (8 pax), rent a private van for P3000 instead of taking the UR tour (P1500) per person offered by travel agencies or hotels in Palawan. You’ll save a lot in doing this. 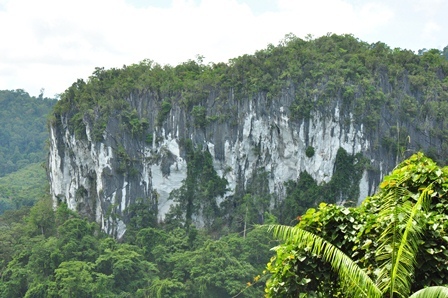 Aside from that, you would be able to get to Buenavista Viewdeck on your way back to Puerto Princesa. Just tell your driver. 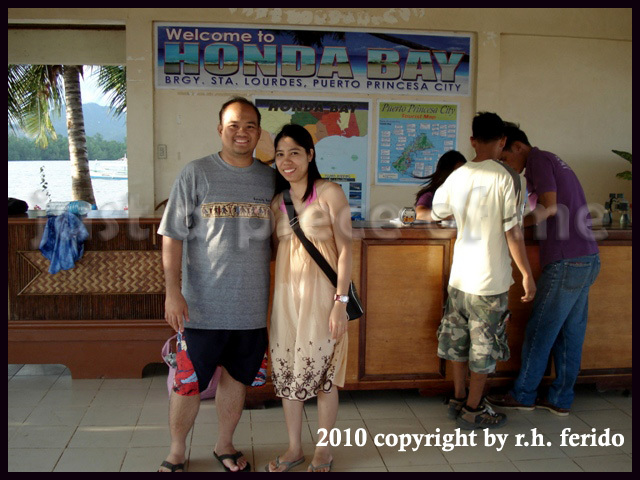 But for couples or small groups, it is better to take the bus or jeepney in going to Sabang. At around three in the afternoon, we decided to have our city tour. 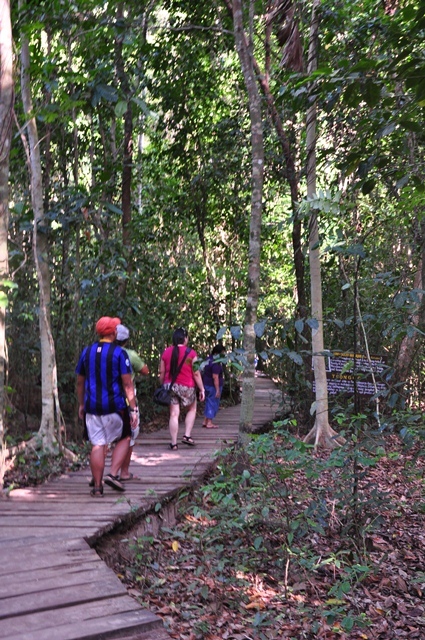 Ooops, we were not able to go Iwahig Prison, Butterfly Garden and Crocodile Farm. Well, I don’t have to see neither crocs nor butterflies huh! Since Aniceto is just a 15 minute walk to the church, the park and the baywalk, we opted to walk. 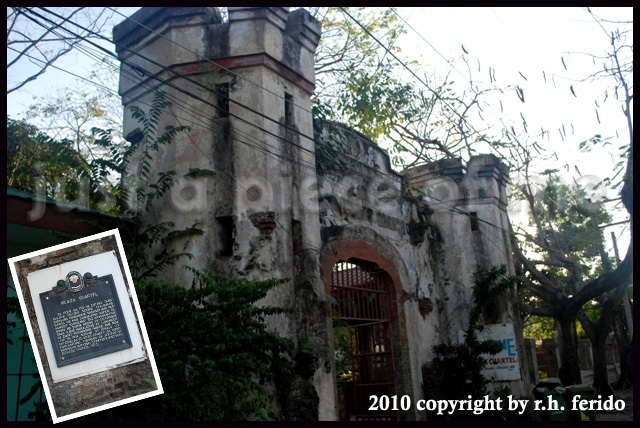 Plaza Cuartel is located near the church. 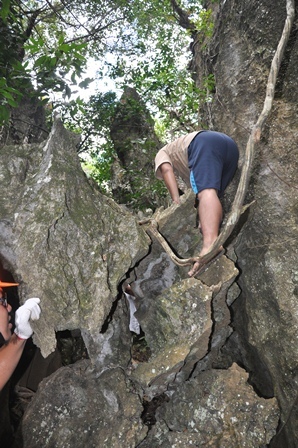 There is nothing much to see though it is a historical landmark in Palawan. The municipal government should do something to beautify or improve this place. Baywalk is near the church, no need to take the trike. If you are facing the church and the basketball court is behind you, go to the left side and cross the street. The first street on your right is the way to the baywalk. Walk straight until you reach the intersection. Turn left and viola! You’ll see the baywalk. It is nice to go there early in the morning to catch the sunrise or late in the afternoon to catch the sunset. You’ll find food kiosks there, no need to worry when you get hungry. You can also rent a bike and do biking. It was getting late then so we hurriedly take a trike to Ka Lui restaurant. I had my reservation 2 days ago before going to Palawan. If we’ll be late, our reservation will be canceled and will be given to other guests that’s why we have to be there before 7pm. Too bad, the trike driver didn’t know where the place was but we didn’t have a hard time to find Ka Lui. I phoned Ka Lui two days before we fly to Palawan to make sure that we’ll be able to have a dinner date and celebrate our monthsary there. If you want to experience fine dining at Ka Lui, don’t text but CALL them to have an assurance that you’ll get a reservation. You have to take off your shoes or slippers when you get inside the restaurant. The floor that is made of wood is clean and shiny. It feels like home. Even the bathrooms are nice… you won’t feel that you’re in a bathroom, promise! 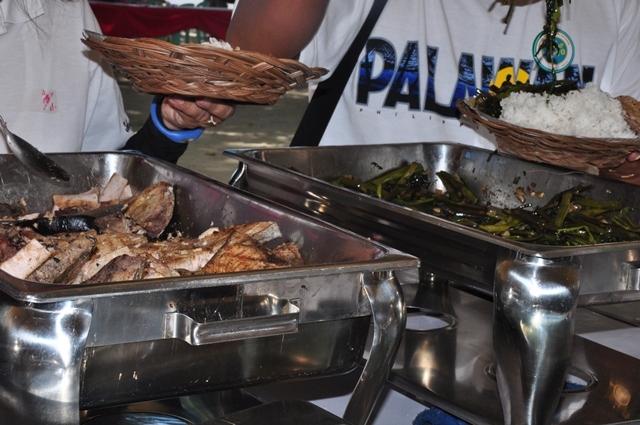 We preferred to have KA LUI SPECIAL OF THE DAY SET at P395 (Fish Steak – 2 pcs; Prawns – 4 pcs only; Veggies of the Day – ginataang gulay; Steamed Fish – lapulapu, with mango sauce, 2 cups of rice and starters – seaweeds). 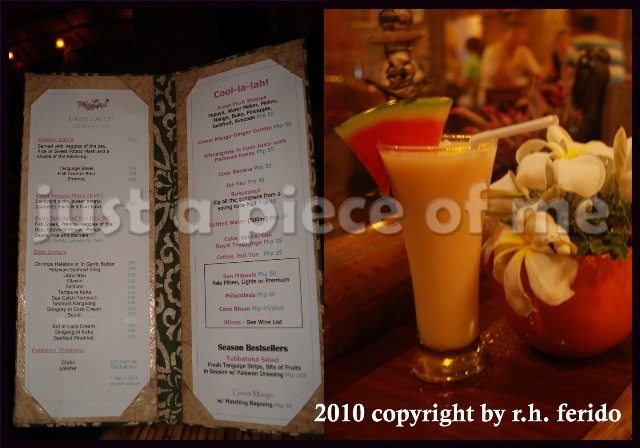 Then we had iced tea (P45) and melon shake (P50). The food was exclusive of 10% service charge.Whether you are in a tight budget, you can still dine at Ka Lui because the food is not that expensive compared to other restaurants in Manila. 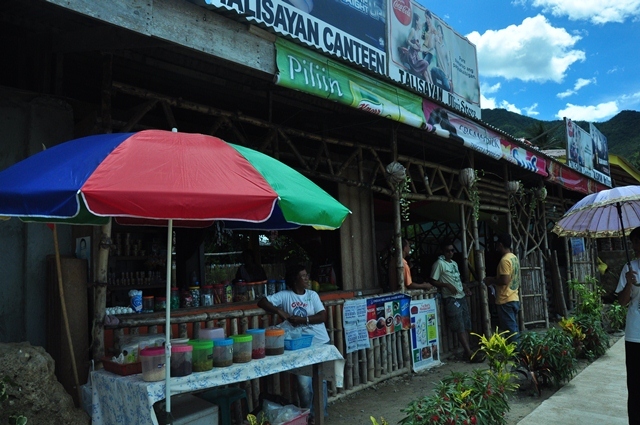 Ka Lui is said to be ONE of the best retaurants in Palawan. 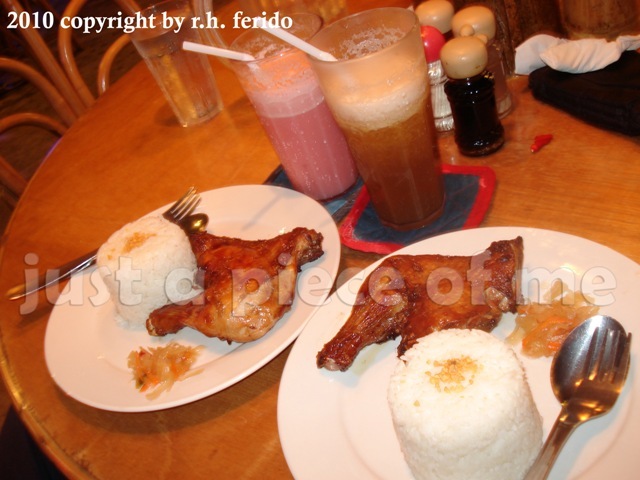 Because we were so hungry that time, I wasn’t able to shoot the food served to us. The food was great! Yum! Yum! But according to my sister who also went there a week ago, they didn’t enjoy eating Palawan Seafood Sisig and Buttered Shrimp. After our dinner, we moved around, checked the place and started shooting. Teehee! The place is also good for photo-op. =) Most of the guests, I think only the first timers, take pictures of themselves inside the restaurant. 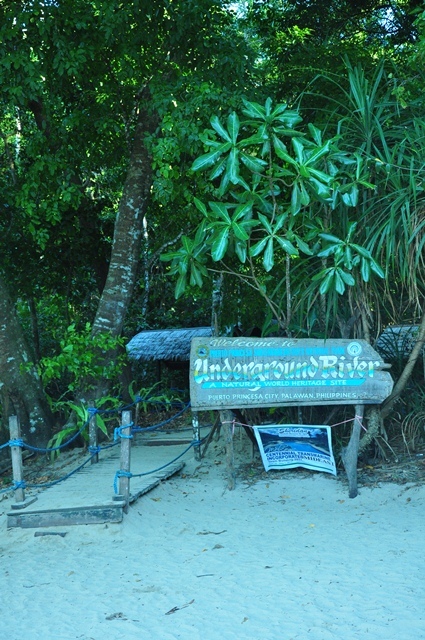 Palawan is one of the most visited places here in the Philippines not only by foreigners but by Filipinos as well. When PAL had their promo of Boeing 777, I immediately booked online two tickets for 3 days and 2 nights though I wasn’t sure of what to expect in our first domestic travel together. Hehehe. There was only one thing on my mind: to have our monthsary celebration there for a change. Getting a Palawan Package Tour did not ever come to my mind for two reasons: I don’t like to spend a lot since we are on a budget (and I believe that traveling need not be expensive) and I want to be in control of the time, spend it the way we want. Searching the net and joining forums really helped me a lot. 🙂 It was pinoy exchange that gave me a lot of information about what to do in Palawan. Thanks to the pexers who patiently answered my queries. TIP: At the airport, you would see many tricycle drivers waiting for passengers and will approach you to take a ride with them. How much? It’s P50 for a ride. Just ignore them and walk straight until you reach the gate. Take the trike there and instruct the driver where to go. It’s only P7 per head. Then we waited for a trike. We were lucky to meet this trike driver whose name was almost the same as mine: RENE: who happened to be from Moriones, Tondo. What a coincidence! @_@ Well, I took the opportunity to negotiate with him the Hunda Bay Tour. Most of the pexers told me on the forum that the tour costs P600. When I asked him of the tour, he said it’s P500 but I insisted to make it P400 instead. He agreed. Yey! After that conversation, he brought us to Aniceto Pension House, where I had a reservation for 3 days and 2 nights. 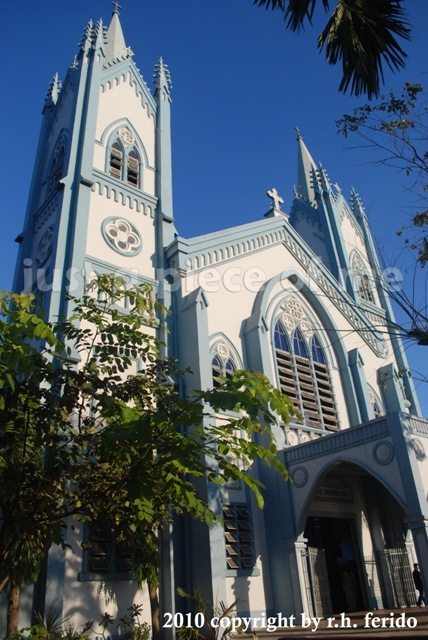 It is located in Reynoso Street and owned by Ms. Tess. You can contact her through email: arc_tess@yahoo.com.ph and sms: +63927059782. 24 hour wifi access is also available. On our way to Hunda Bay, we saw Haim’s Chicken Inato. 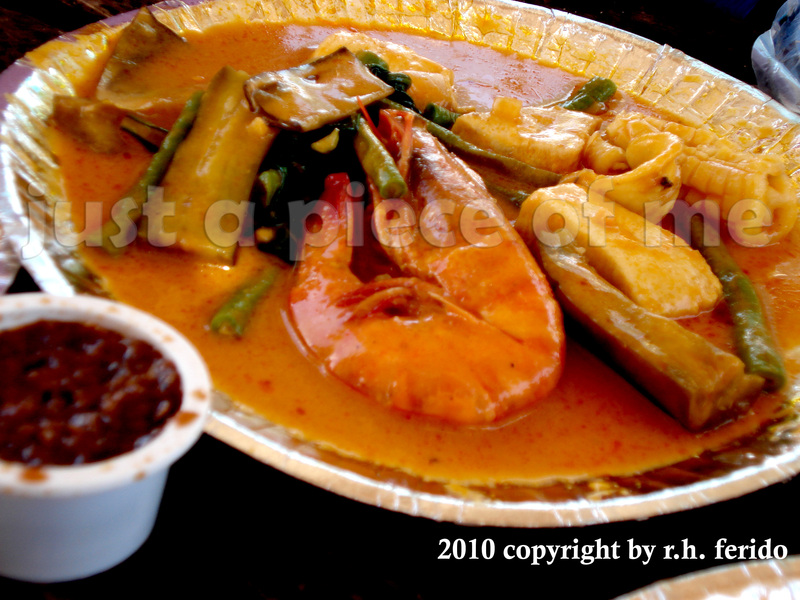 Seafood kare-kare was our choice over the chicken inato. It only cost us P165 for: Seafood kare-kare (P120) & 3 cups of rice (P45). Well, it only has 1 piece of prawn, 3 pieces of small squids & fish cubes. Yummy? That’s what I thought…. but I was wrong! Upon reaching the wharf, there were no other people that I thought would share us a ride. Lucky us, a man in his fifties together with a young woman came a few minutes and inquired about the boat rental. 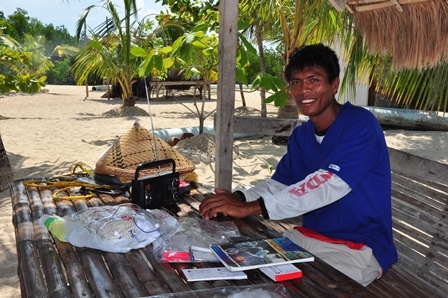 With no hesitations at all, I asked the man if we could share in the same boat. 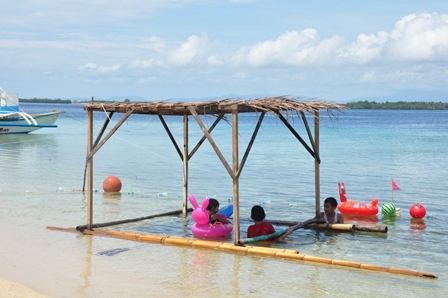 Instead of paying for the P1300 boat rental fee, we only paid the half of it — P650. The first island we saw was LULI ISLAND. Luli came from two words – lulubog at lilitaw. You can see the island during low tide but it was hight tide that time, the ony thing that we saw was the cottage floating on the water. There were already people occupying the only cottage in that island. You can do snorkeling in this area if you want to. So make sure to bring goggles with you. 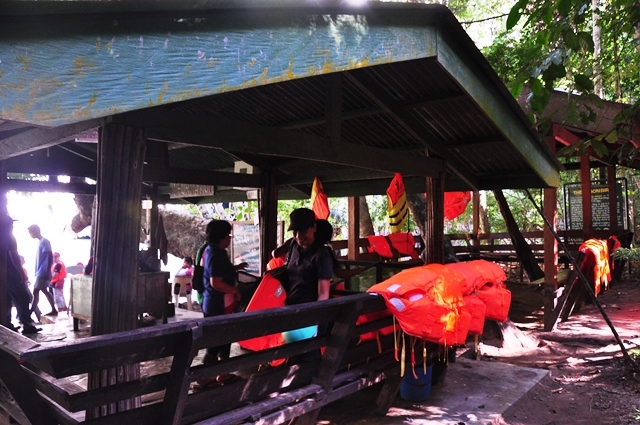 At around 4:30 in the afternoon, they decided to go back at the wharf but I requested to drop by at PANDAN ISLAND. 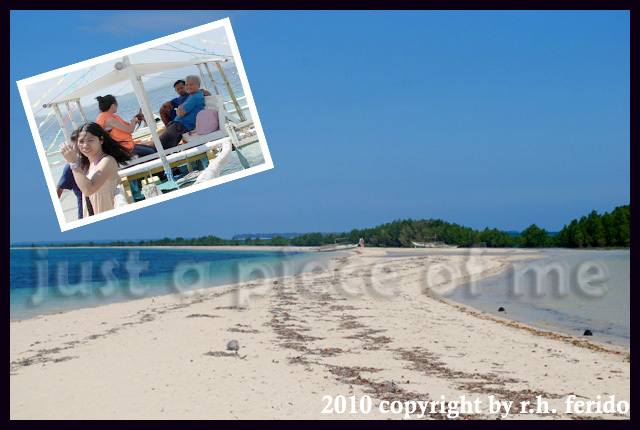 It is a private island a few meters away from Snake Island. I think, 15-20 minutes travel time. 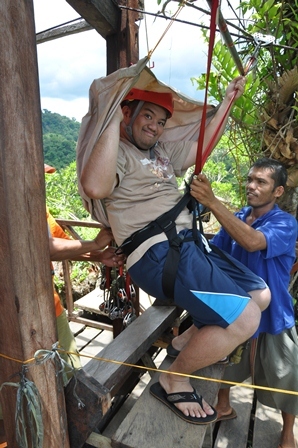 (What a bumpy ride it was ! Big waves hit us at around 3pm) You have to pay P25 for the entrance and P200 for occupying the cottage. Only a few people were there… Since the beaches in the islands are not as good as the islands in Capones (promise, you will love Capones and other islands there in Pundakit! ), we decided not to get off the boat. We also saw COWRIE ISLAND, a small private island owned by a businessman. 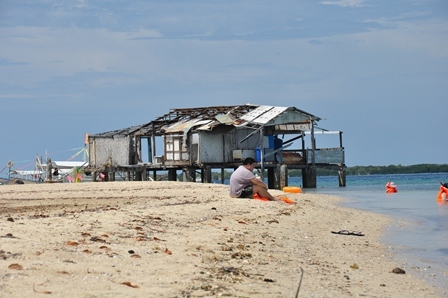 Permits from the owners of the private islands are necessary. Before leaving the wharf, we asked for some information about the name of the Bay. Others called it Hunda but for some it’s Honda. According to the personnel in the information desk, it’s name before was really Hunda Bay. FD: Hunda talaga ang name niya. Hubby: Bakit naging Honda Bay? FD: Kasi nagkamali sa printing ng tarp. Honda ang nailagay nila sa tarpaulin. After your island hopping tour, you can also have a sidetrip tour to Vietnamese Village if you want to try the taste of Vietnamese’s noodles which unfortunately I forgot. 😦 Mitra’s Ranch that closes at 5pm to have an overlooking view of Honda Bay (nothing more other than that) and Baker’s Hill which is good for photo op because the place is sooo nice! 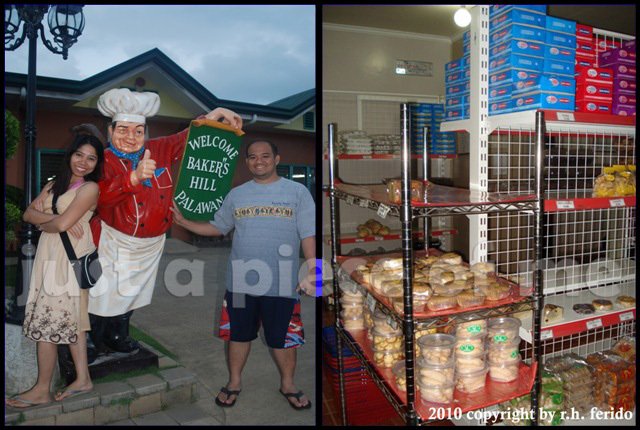 You can also buy hopia and other kinds of bread there. My rating for the hopia and pan de coco? 3/5. Nothing special on the taste. :-p Engbee-tin is still the best! 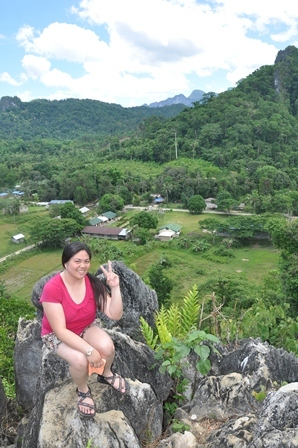 :)) After the tour, we headed back to Aniceto. It’s dinner time! 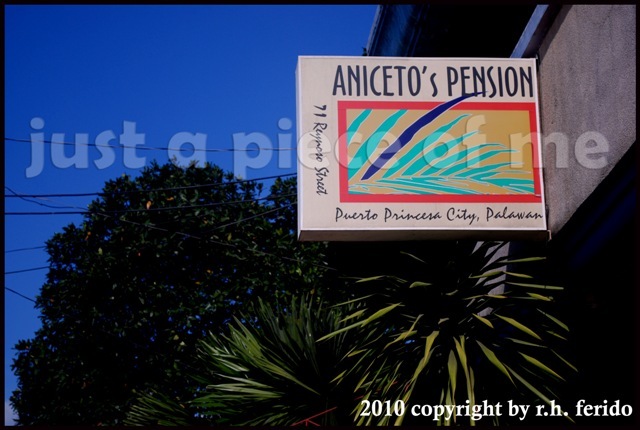 Aniceto Pension is quite far from Rizal Avenue. I think you have to spend 15-20 minutes of walking. But I like to see more of the city looks at night that’s why I encouraged my hubby not to take a trike and walk instead. You can also find Chowking, Jollibee and Mang Inasal along Rizal Avenue. But hey! You’re in Palawan. 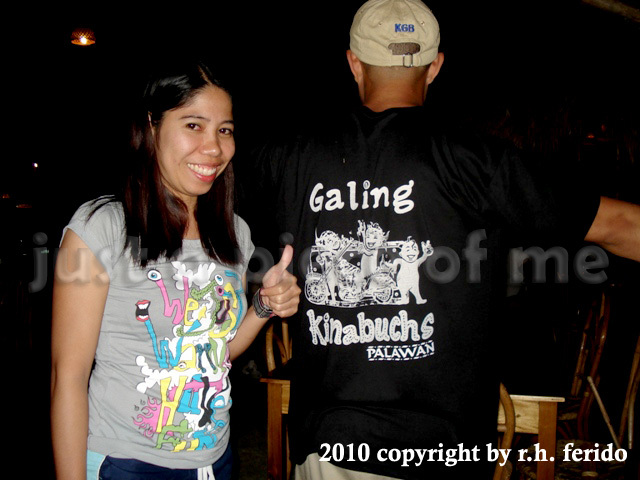 Why not trying to eat in one of the best restaurants in Puerto Princesa? It’s a new experience for us to try.